Join us as we explore a 30-mile stretch of Illinois where the Illinois, Mississippi, and Missouri rivers meet. 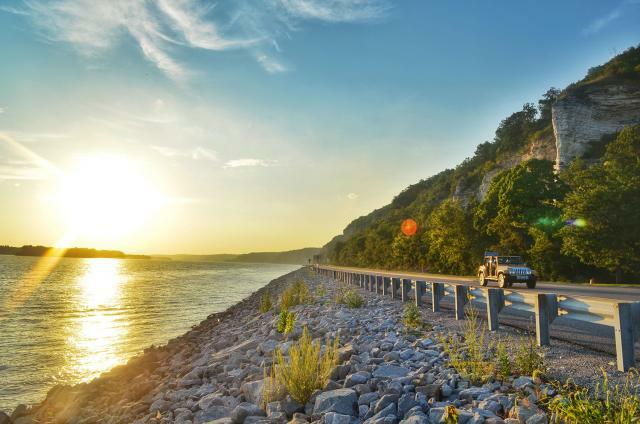 Known as the American Bottom, the region is a rich storybook of earth, natural, and human history that has transpired in one of the great river valleys of the world. We will consider the history of towering limestone bluffs, the demise of an Ice Age mammoth, the rise of cities, the flights of migratory birds, efforts to control these rivers, and much more during a two-day journey that reveals millions of years in Illinois. Trip guide: Dr. Michael Wiant is the former Director of the Illinois State Museum—Dickson Mounds. Trained in archaeology, he has explored Illinois’ landscape and history for decades and has been a beneficiary of the observations and insights of many Museum colleagues and other scientists. In partnership with the Museum’s Education Department, Wiant has guided Museum Society field trips throughout the Midwest. The cost includes chartered motorcoach, hotel, meals and snacks, admission to all sites, and educational presentations and materials. Advanced registration is required. A deposit of $100 per person is due by Monday, March 18. The final balance is due Thursday, April 4. Tour space is limited. Visit bit.ly/ism2019springtrip for more information and registration or contact Elizabeth Bazan at Elizabeth.Bazan@illinois.gov or (217) 558-6696.